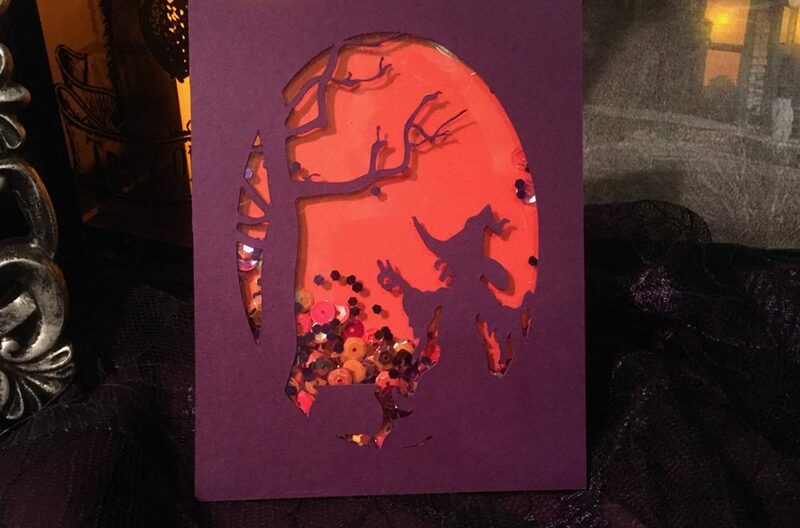 This time, Pinterest to the rescue for card ideas. I saw a couple pins that I liked and saved them to my Card Inspirations board. But neither on their own did it for me. So I took the favorite elements from each one and combined them into this card. The sources of the inspiration pins are linked at the bottom of this post. 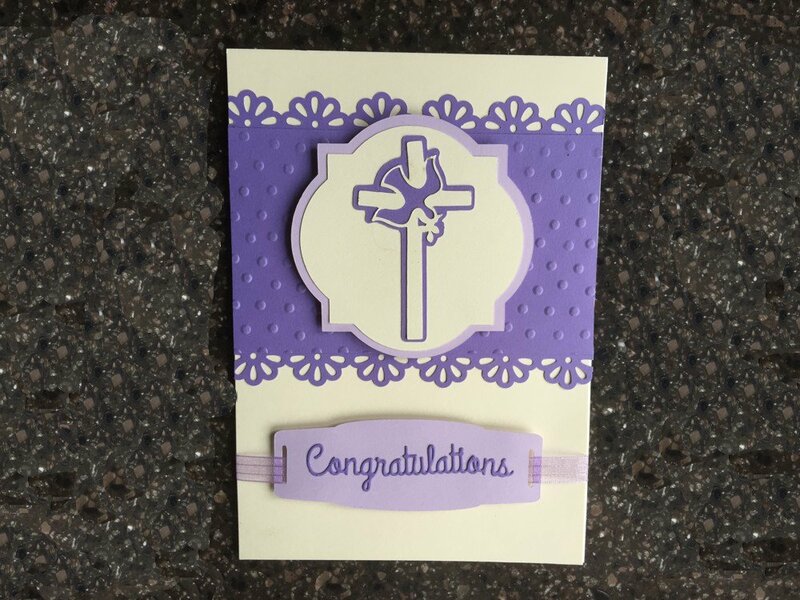 Since I don’t have a Cricut, I needed to find a way to replicate the cross. After a thorough search of the Silhouette Design Store and several other favorite .svg sites for a stylized cross, I realized I’d have to try another approach. I went back to the original Pinterest inspiration picture. I used the Trace function in Silhouette Studio and was able to trace it fairly closely. A little curve editing cleaned up any stray lines. I then used the Offset feature to create the background directly behind to stylized cross. 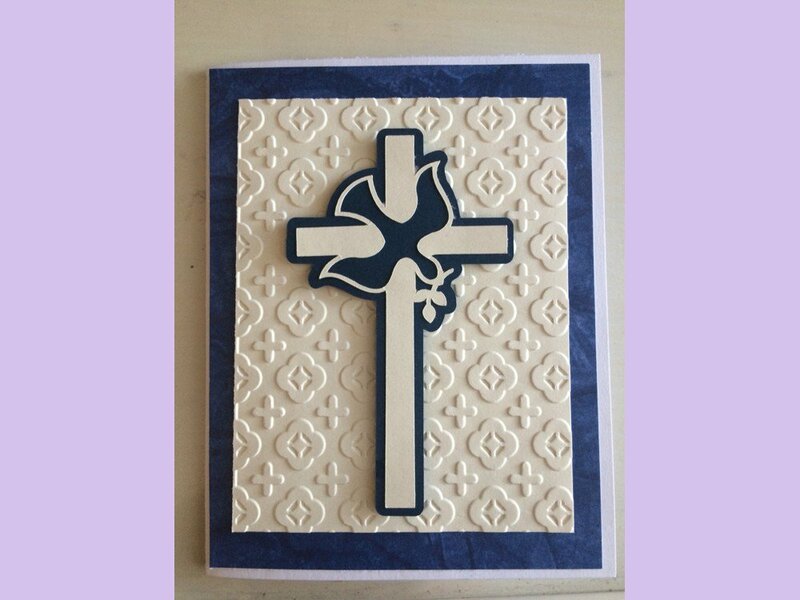 I also didn’t have any shapes in my Library for the background that the cross sits on. So I welded a circle onto a square. I had to play around with the size of the circle to get the right arc above and below the square and the result is a pretty close approximation. I’m sure there’s a die out there somewhere that does this, but as long as I was pulling out the Silhouette, I figured I’d make my own. Easy peasy. 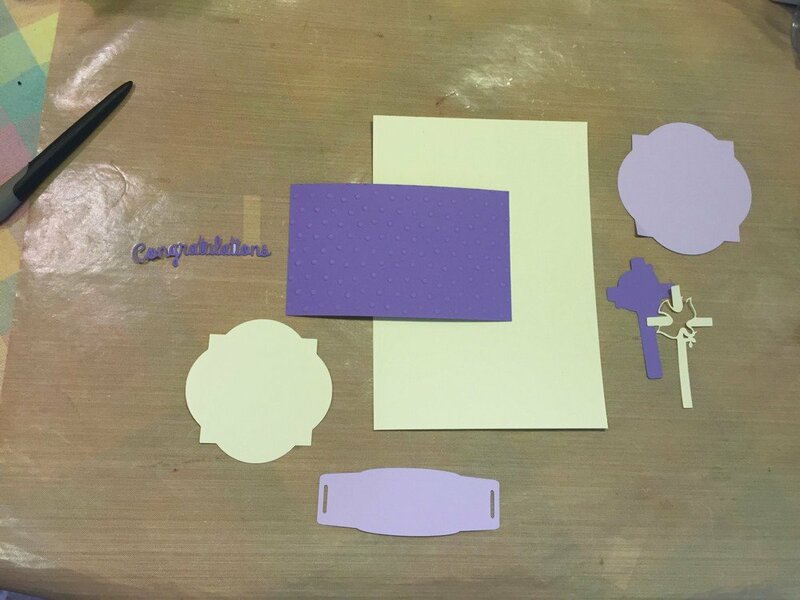 I had a banner set from the Silhouette store (no longer listed) but it was not wide enough to hold the Congratulations sentiment. 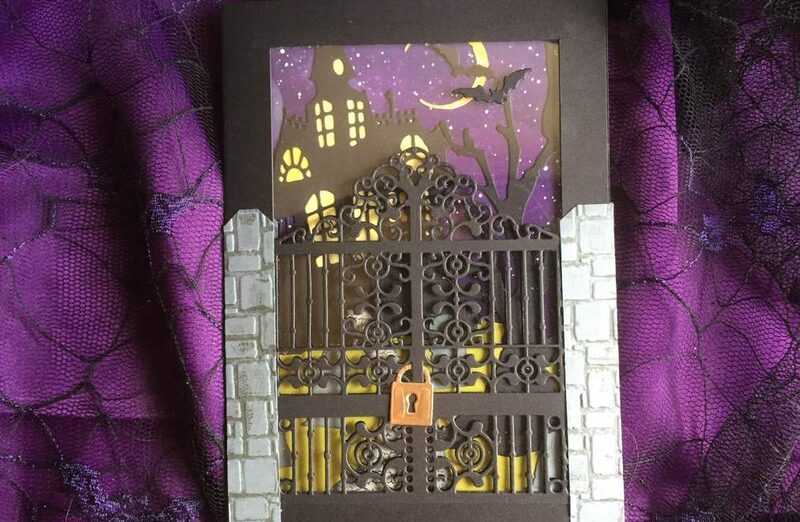 So I edited that as well, stretching it until the die cut would fit with extra length at each end, and enough room to accommodate the ribbon slot. 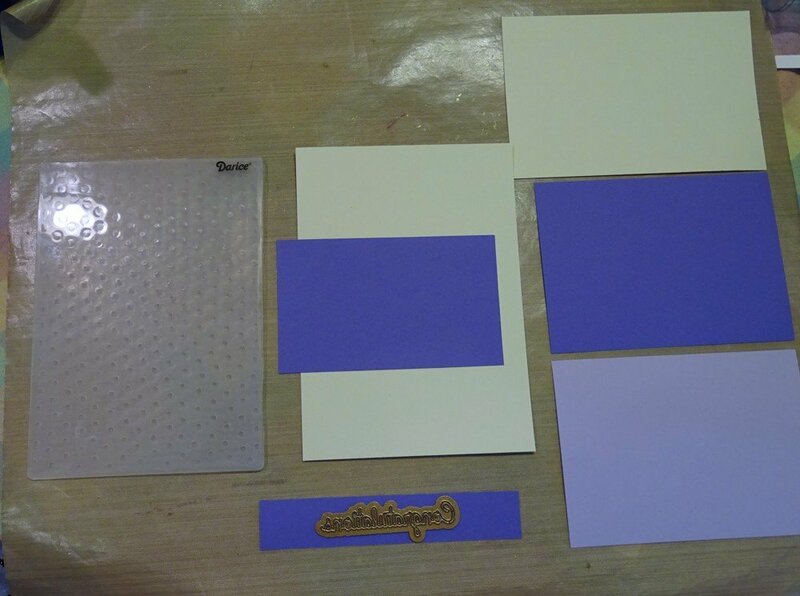 Next up was the purple background. 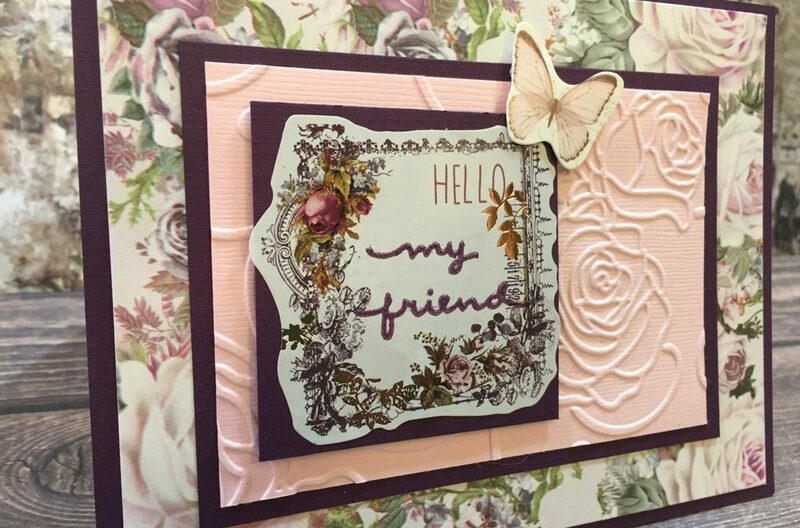 This part was easy–just a piece of cardstock cut to size and run through an embossing folder. 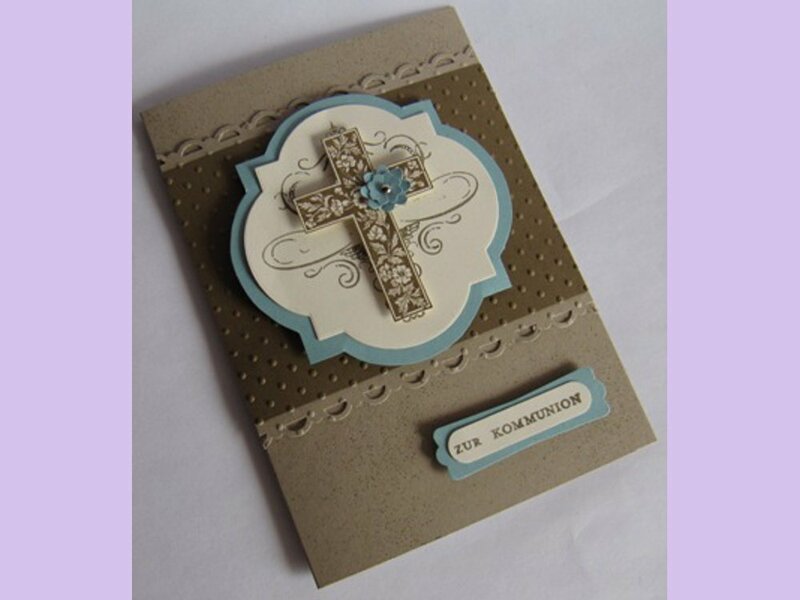 I used a Martha Stewart edge punch, which seems to be discontinued. In fact, it was hard to find many retailers carrying her punches these days. Joann had limited selections and Michaels none. Maybe Martha has left behind her papercrafting days now that she’s hangin’ with Snoop Dogg (a combination that inexplicably delights me). The edge punched pieces are actually strips that sit behind the embossed piece. I found the interior sentiment from another search on Pinterest and printed it out on some white paper on my printer. 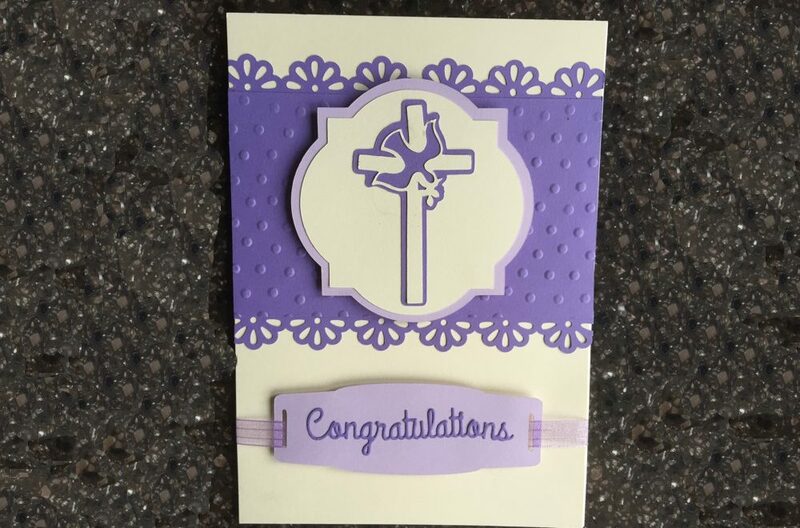 Some glue and some foam tape wrapped in a little ribbon and all the pieces on our Confirmation Card come together. Tan card inspiration can be found here. A thorough search on Google did not turn up a website for the source of the blue/white card, so I can’t provide attribution here.